In today’s episode, we will resume our discussion about Sheikh Abū al-‘Ilā Muḥammad with Prof. Frédéric Afandī Lagrange. We will start with a very technical question. I find that Sheikh Abū al-‘Ilā Muḥammad’s voice is among the few voices that are not hard to clean or to edit. Actually, it does not even necessitate EQ (system to equalize and enhance the voice) while most muṭrib’s voices do. I do not mean to discredit them… it was only a remark. What do you think, sir? Its first characteristic is such great flexibility that listeners are unable to detect any effort or strain. It is as powerful in the qarār and the jawāb, and of an equal texture in both. Making listeners feel that a performance is strain-free should characterize all the great voices. Great muṭrib are not supposed to scream when they reach the jawāb. Sheikh Abū al-‘Ilā Muḥammad’s voice remains extraordinarily the same in the qarār and in the jawāb. Its second characteristic is that it is muffled to a certain extent, which probably helps in maintaining the same texture in both qarār and jawāb. I never heard another voice with such unlimited flexibility. I do not mean that a changing texture is a negative characteristic… Both Sheikh Yūsuf al-Manyalāwī’s and ‘Abd al-Ḥayy Ḥilmī’s voice texture changes from qarār to jawāb … whereas Abū al-‘Ilā Muḥammad’s does not. This is why it sounds strain-free to the listeners, and was probably often effortless to him. Maybe he did sing effortlessly, or tried not to strain himself, which is a great thing itself. Sheikh Abū al-‘Ilā Muḥammad certainly had a great reputation among artists: all first rank muṭrib imitated him in their recordings of qaṣīda, including Sayyid al-Ṣaftī, Umm Kulthūm –as mentioned earlier–, Fatḥiyya Aḥmad, and Munīra al-Mahdiyya who performed qaṣīda the same way Abū al-‘Ilā Muḥammad did. This is understandable in the case of Fatḥiyya or Umm Kulthūm, or even Munīra who kept using melodies from new composers throughout her career. On the other hand, Sayyid al-Ṣaftī was older than Sheikh Abū al-‘Ilā, and was already famous before Sheikh Abū al-‘Ilā had even started his career… Isn’t this a little strange? I meant: isn’t it strange that he sang a qaṣīda by Abū al-‘Ilā Muḥammad in the first place? I think this is also a mark of respect. He thought he deserved it. He deserved, as they used to say, the day of taḥzīm (granting of the belt). Which piece composed by Abū al-‘Ilā and performed by Sheikh Sayyid al-Ṣaftī shall we listen to? It seems that Sheikh Abū al-‘Ilā Muḥammad was very keen on drinking, like many of the period’s muṭrib. We must tell the truth… Is any of his relatives around? 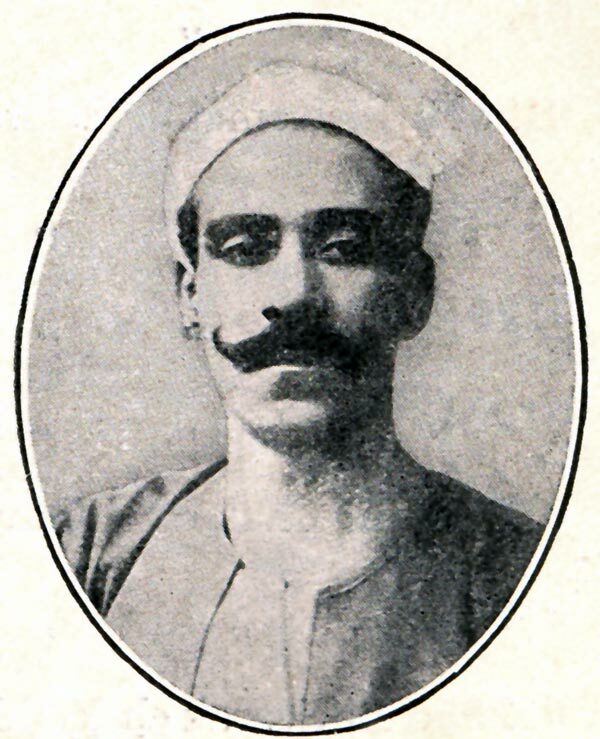 Sheikh Abū al-‘Ilā Muḥammad suffered from diabetes, and seems to have lost the ability to move as well as the flexibility of his voice in the second half of the 1920’s. His ensuing sadness and despair led him, according to Adham al-Jundī, to commit a very strange suicide: he exceeded the quantity of sugar allowed by his condition, and died. A handful of muṭrib and artists paid him their last respects, and his student Umm Kulthūm is said to have walked barefoot at his funeral. I am not aware of the details of this suicide story… Still, dying from diabetes at the age of 50 in 1927 seems to be fair enough, even in those times. Sheikh Abū al-‘Ilā Muḥammad tried his hand at almost all the forms of literary learned music, and ṭaqṭūqa, including a lost ṭaqṭūqa. Meshian’s recordings include “Wa-ḥaqqika ant al-muna w-al-ṭalab”, as well as a recording that was lost. 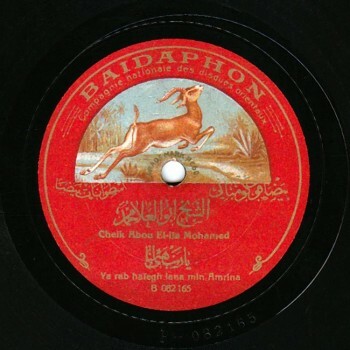 If any of our listeners likes early 20th century music and has the recording of “Bēḍa yā bēḍa bayāḍ el-marmar”… this is the lost Meshian recording of Sheikh Abū al-‘Ilā Muḥammad made during WW1. We are searching for it and we will not stop until we hear it for the first time. It would be great if one of our listeners had this recording and gave us a copy. Yes, urban mundane singing. Most of these qaṣīda are ṣūfī qaṣīda by great Egyptian ṣūfī mashāyish of the mamlūk era, such as Ibn al-Nabīh al-Miṣrī, Ibn al-Fāriḍ, and Al-Bahā’ Zuhayr, as well as more recent poets –who are not necessarily ṣūfī– such as Al-Imām Shabrāwī, or even contemporaries of Sheikh Abū al-‘Ilā Muḥammad such as Ismā‘īl Bāshā Ṣabrī and “Shā‘ir al-Shabāb” (poet of the youth) Aḥmad Rāmī. Shall we listen to something by Ismā‘īl Bāshā Ṣabrī? Of course! What shall we listen to? There are two qaṣīda to the rāst that Umm Kulthūm sang: “Yā āsī al-ḥayy” and “Aqṣir fu’ādī”. Strangely, Umm Kulthūm imitated Sheikh Abū al-‘Ilā by recording the same two qaṣīda on one disc, exactly as he did. True. What shall we listen to? “Aqṣir fu’ādī” or “Yā āsī al-ḥayy”? 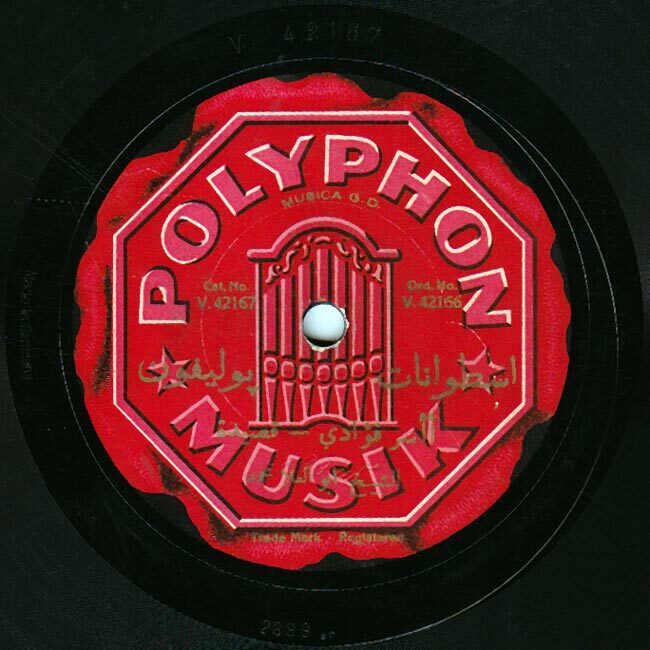 Abū al-‘Ilā recorded during four audio-recording campaigns: with Gramophone in 1912; Meshian during the war period; Polyphon in 1920; and the last time with Baidaphon in 1921. The 1921 recording reveals his maturity, but also his tiredness. 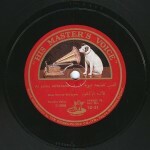 His voice is neither as powerful nor as flexible as it was in Gramophone’s and Meshian’s recordings. 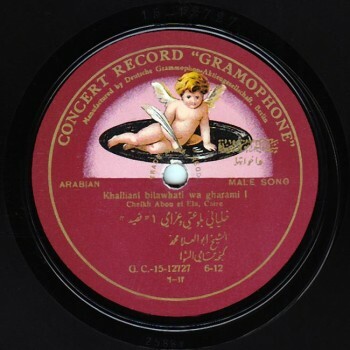 His Gramophone recordings are undoubtedly his most beautiful ones, with almost miraculous pieces such as his qaṣīda muwaqqa‘a “Khalliyānī bi-law‘atī” to the ḥijāz whose melodic pattern is frankly amazing and puzzling. 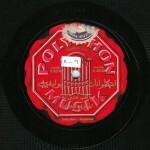 By the way, concerning his style in composing, and the controversial issue about the fixed and the variable in the early 20th century Egyptian high-standard singing, in my opinion –I do not know if you will agree or disagree– Sheikh Abū al-‘Ilā Muḥammad must be put in the same category as Sheikh Al-Manyalāwī, i.e. the category of composing, of fixed melodies, which is a transitional category between Al-Manyalāwī and the generation after him that included Maḥmūd Ṣubḥ and Amīn Ḥasanayn. Even ‘Abd al-Wahāb… I was going to mention ‘Abd al-Wahāb… who sang “Minka yā hājiru dā’ī” (Abū al-‘Ilāwī) beautifully. Let us compare a qaṣīda to the sīkāh by Sheikh Abū al-‘Ilā Muḥammad and a short excerpt of “Minka yā hājiru dā’ī” by Muḥammad ‘Abd al-Wahāb. In my opinion, they are very close as to the composing spirit that stays within the maqām’s inspiration, i.e. 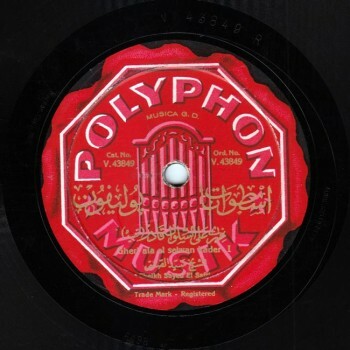 it is maqām music as well as deeply rooted Arabic Classical music, and different from the pieces composed five years later by ‘Abd al- Wahāb who was deeply influenced by Abū al-‘Ilā Muḥammad’s art at the beginning of his career. Let us end today’s episode about qaṣīda before our future episode where we will discuss the other forms. Among Sheikh Abū al-‘Ilā Muḥammad’s last recordings, qaṣīda “Yā Rabb hayyi’ lanā min amrinā rashadā” gives me the impression that he’s bidding this world farewell, that he is saying he won’t be coming back. His voice sounds mature, and he seems to be lamenting over something he is losing or… I do not know… It is a very strange qaṣīda, that is by the way a qaṣīda mursala, unlike his usual works composed ‘ala al-waḥda. Of course, he performed numerous qaṣīda mursala during his last recording phase with Baidaphon. I totally agree with you concerning the farewell message included in these recordings. One sometimes projects one’s feelings on a text and, knowing that he died in 1927, we naturally projected our feelings on these. Still, there is a latent truth in these sentiments born from listening to such treasures. Especially that this is the only “direct” religious text he ever sang. 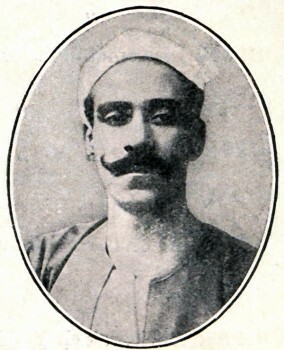 “Min al-Tārīkh” is brought to you by Mustafa Said.